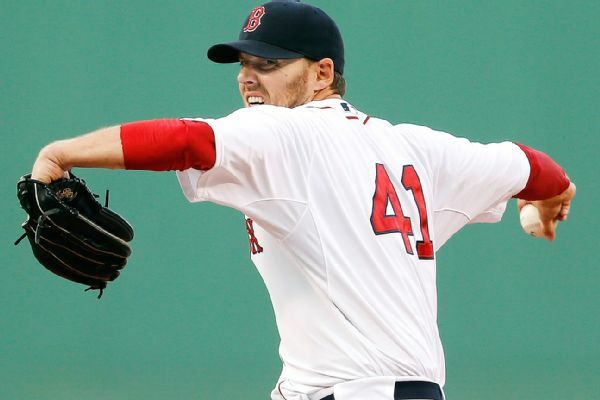 It has been a crazy day for Red Sox fans as we’ve had to watch two of our top pitching aces, Jon Lester and John Lackey, get traded as the deadline closed at 4 PM. Lester and Johnny Gomes were traded to Oakland for Yoenis Cespedes, and Lackey was traded to St. Louis for Allen Craig and Joe Kelly. It has been a down year for the Sox, who have struggled both offensively and defensively, and find themselves at the bottom of the division. This has pressured the front office to start improving the roster for the future, but it still begs the question: why trade away your best pitcher in Lackey? 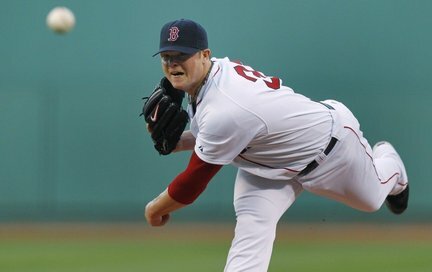 The Lester trade, however came down to this: throughout the season, the Red Sox have been trying to start talks with Lester’s representatives about restructuring his contract that ends at the end of the season. It has been speculated that Lester wanted a 6 year deal worth around $144 million, which is something the Red Sox are not willing to match. Because of this, the Red Sox did not want to lose their ace and get nothing in return if they could not sign him this winter, which is the reason trade talks began in the first place. Lester’s trade to the Oakland A’s gives the Red Sox Yoenis Cespedes, a two time home run derby power hitter who will greatly improve the middle of the lineup for the sox. Cespedes who has 17 home runs and 65 runners batted in this season has the potential to be the power hitter the Red Sox have been missing. So, what do you think of these trades? Let us know your thoughts in the comments! Over the weekend, our Rockland retail location played host to a big guest: the BigFoot Monster truck. BigFoot was on display Friday, July 25 and Saturday, July 26th for our customers and neighbors to stop by and get up close and personal with the iconic, 10,000 pound truck. The driver, Ron Bachmann, was on hand to answer questions, pose for pictures, and sign autographs for fans. A Mini Cooper really put BigFoot in perspective! Ron Bachmann, who has been driving BigFoot for 40 years, answered questions, and signed autographs. Our Rockland Crew had a great time hosting BigFoot! Thank you to everyone who came out to visit BigFoot while it was in Rockland. Our next BigFoot event will take place in Augusta, ME from August 15 – 16th! So check back to Fuel For Thought for more details as the date draws near. Did you check out BigFoot this weekend? Today’s recipe is a Corporate Office favorite that has been shared around the office for years: Buffalo Chicken Dip. In a 9 x 11 pan, add hot sauce, whipped cream cheese and ranch dressing. Mix it good! Top with a package of shredded cheese and bake at 350 for 30 minutes. Stop by between 9am – 4pm this weekend to get an up close and personal look at this iconic, massive 10,000 pound truck. There will be complimentary refreshments and chances to win prizes and some free giveaways! Are you planning on seeing the Monster Truck this weekend at Sullivan Tire? On Monday afternoon, NESN’s NASCAR stopped by our Weymouth location on route 53. The custom designed Ford Fusion celebrated NESN’s 30 Year Anniversary, with a brief tour around New England and spot in the New Hampshire Motor Speedway on Saturday, July 12th. Thanks to NESN for a great day! Did you get a chance to see the #NESN30CarTour on Monday? Did you hear it? My husband and I were totally impressed with the Customer Service that we received from the Windham location and especially for the Service Technician, Ryan Nealey. He demonstrated the ability to handle the job professionally with competency and in a timely manner. We will definitely recommend the Windham location to all of our friends, family, and colleagues. A photo of our Windham location’s Grand Opening Celebration in 2010.